When you think of the name George A. Romero, you automically think of Zombies, but there's more to him than that. 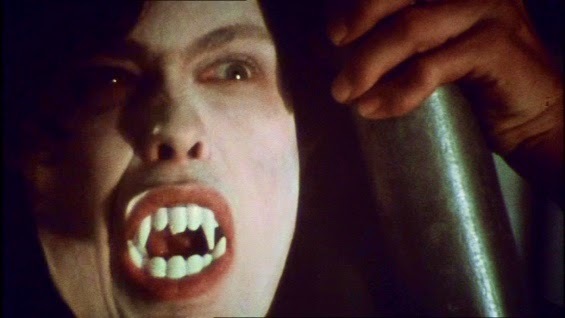 I'll be honest with you, I'm not the biggest fan when it comes to Vampires, I can't tell you why but they just don't seem to be my thing but with this film there is so much more to it than that. The film has so many layers to make it much more than what it should be. It has such a bleak atmosphere to it, the only film that comes to mind to compare it to in this sense is 1980 's"Fade To Black", which is no bad thing. The original cut of the film ran nearly 2 hours 45 minutes which I'd love to see but unfortunately Romero himself has confirmed that there is no known existing copy of the cut, which truly is such a shame. Romero stepped up the mark for this film and watching it today you can tell it has his fingerprints all over it, his direction and writing work for this feature are both phenomenal. "Martin" is not to everyone's tastes but most definitely give it a watch if you haven't already seen it. Often said to be George A. Romero's personal favorite of his films. Director George A. Romero originally wanted the entire film to be in black and white, but the producers didn't want to risk this experiment and insisted that the majority of the film be in color. The film originally had an extensive voice-over narration by Martin, much like the trailer, but it was cut because the narrative was strong enough without voice-over. Much of the dialog can be read though in the film novelization. During a screening and interview at USC, director George Romero related that the MPAA objected to a shot of Martin slicing someone's arm open with a razor blade. The entire shot would've earned the film the notorious "X" rating, and so he had to trim it by several seconds. The length of the shot, not the subject matter, was objectionable. The opening scenes on the train were, of course, shot in train cars that weren't moving. Grips would have to wave lights past the train windows to give the impression that it was in motion. Romero said that the crew would sometimes forget to tell the grips when the scene was cut and they would be left swinging lights obliviously for several minutes. Tom Savini also did the stunts (and special makeup effects) in the film. His face can clearly be seen in the scene where the street person is hit and rolls over the hood and roof of the car. The scenes at Cuda's church were filmed at a Braddock church that had actually been destroyed by a fire. Among the scenes said to have been included in the lost 160 minute version of the film was a conversation between Martin and the man in the restroom stall at the train station, more dialog from Cuda about the vampire lore, and a scene of Martin and Arthur talking at work. The house used for Cuda's home in the film actually belonged to the films sound man Tony Buba. In fact it's the Buba family photo album that's featured in the film as Martin's family album. Many of the religious artifacts seen in the house also belonged to the Buba family. During DVD commentary star John Amplas said that Tony Buba's grandmother was also living at the house where the film was shot. One day after shooting she saw one of the sinks full of fake blood and became very upset, not because of the mess but because she thought it was real blood and believed bodily harm had came to John Amplas. Lincoln Maazel's character was re-named Cuda because the exterior of the store that was used for the character's business was painted with the name The Cuda Co. The films setting of Braddock, Pennsylvania is indeed a real city outside of Pittsburgh. Local neighbourhoods served as filming locations for the film and many locals appear as extras. The cops used for the shootout scene were actual Braddock policemen. Producer Richard P. Rubinstein cameos in the film as the husband of the cheating housewife victim. Romero's original script for the film had the character of Martin as an older person who was actually established as a vampire struggling to live in a modern world. However, when Romero saw John Amplas' performance on stage he re-wrote the character with Amplas in mind, making Martin a younger and more innocent character. The Latin exorcism passages read by the priest during Martin's black and white flashbacks are authentic. The scene where Martin walks through the parade was never in the script. There was a scene being shot on the porch when the parade and marching band came through the streets blowing out the sound for the porch scene. While it was passing the production crew took to the street and grabbed quick footage of the parade, later it was added into the film as a contrast for the startling conclusion of the film. 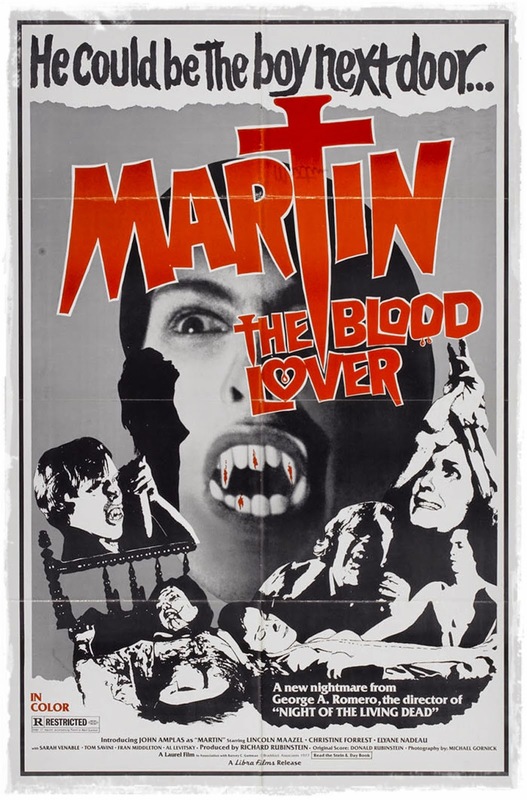 In 1983, British pop duo Soft Cell released a song also title "Martin", inspired by this film. According to producer Richard P. Rubinstein on the Dawn of the Dawn (1978) commentary track (Ultimate Edition DVD), by the time both he and George A. Romero got together to make this film, Romero was under a serious debt (almost a million dollars) after the back to back failures of the films he'd done after Night of The Living Dead (1968). Rubinstein told Romero it was alright to declare bankruptcy and start over again. However Romero refused because he felt it was inappropriate to back out on the people who had helped invest in Romero's films. Rubinstein, having a lot of respect for Romero for not walking out on those people, partnered up with him so he could help him get out of his debt. This was their first film together but it wasn't until they made Dawn of the Dead, which became a financial success, that they were able to pay back Romero's debts. Romero's mother in law, star Christine Forrest's mother, appears in the film as one of the women shopping at Cuda's store. Romero's father in law also has a role in the film as the priest that Cuda brings to Martin during the exorcism scene.